BauTechnologies offers architectural, engineering and construction consulting services for the design and building industry. We specialize in improving the energy performance of residential and commercial buildings. We integrate advanced European energy strategies and modern prefabrication building techniques to reduce energy consumption. BauTechnologies is a collaborative effort between Nabih Tahan, a California architect who has developed, designed and built projects in Austria and Ireland, and Weir/Andrewson Associates Inc., who have been providing engineering and architectural design services to the public and private sectors for the past fifteen years. BauTechnologies offers consulting services for designing and building projects to the Passive House Standard. Modern, energy efficient homes in Europe are designed and built according to the Passive House standard, which results in substantial energy reductions, while improving indoor air quality and comfort. The design of a Passive House makes it possible to affordably reduce the home’s energy consumption by approximately 80% when compared to comparable homes. This is accomplished by capturing and recycling “free” heat generated from the use of electric and gas appliances and lighting. 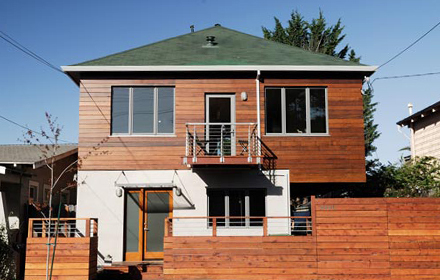 Learn how Passive Houses work. Nabih Tahan recently completed a demonstration project of a remodel of an old bungalow according to the Passive House concept. Read a summary of this Grant Street project in Berkeley. Read about Passive Houses in Germany in a recent New York Times article. BauTechnologies offers consulting services for improving the energy performance of buildings prefabricated off-site. In Austria and Germany, homes are manufactured in automated computerized factories, similar to the manufacturing of cars and computers, where the price and quality of the product can be guaranteed. Under a controlled environment, home building companies fabricate panels or modules using an integrated design and coordinated fabrication and erection process. BauTechnologies can assist companies in introducing these industrial methods and technologies to the housing industry, which promise to change the current practices of building and construction, and can result in buildings which perform better than comparable on-site built projects which are still dependent on antiquated technologies.